An information packed, powerful, easy to use versatile Islamic software package to learn more about Islam. It combines leading translations of the Qur’an, Hadith, History of Prophets, Islamic History, Muslim Contribution to the World and more in a simple, intuitive, easy to use Windows compatible interface. · Search for any word or phrase in any reference very quickly. · Go to any sura or reference quickly. 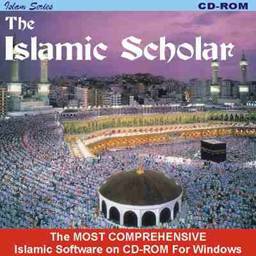 · Full recitation of the Qur'an on a single CD ROM. · Recitation by the world famous "voice of heaven" Sheikh Abdul Basit. · Allow you to save the position of your last reading so that you may go back and start from that point the next time you use the program. · Printing to any standard Windows compatible printer including Epson, IBM & Hewlett Packard. · Copy any text to your favourite word-processor. · Arabic can also be copied. · You don't need a degree to use this program. Designed with the non-technical computer user in mind.